Leatherman is a combination of tools and a collection of life's lessons. These multi-tools are given as gifts to those in transitional periods of life. 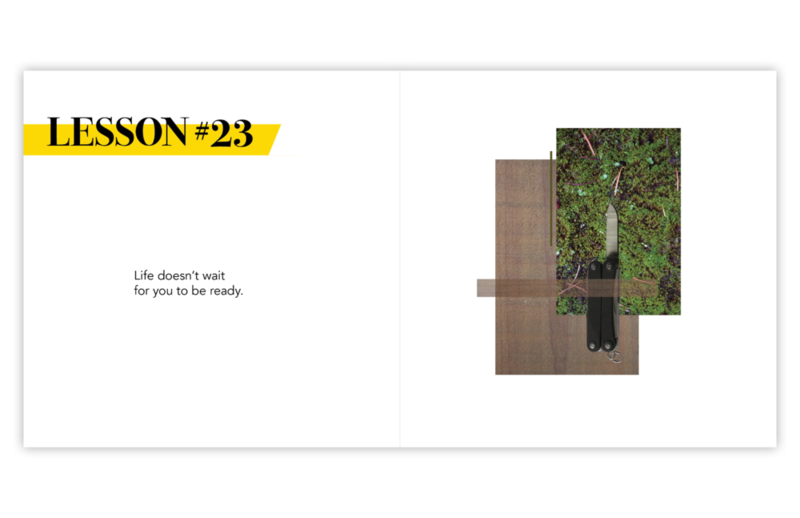 Packaged inside every multi-tool Leatherman, these booklets provide life lessons to those who are gifted a Leatherman.